Our Booth Butlers add personality and fun to the whole Party Pod experience. 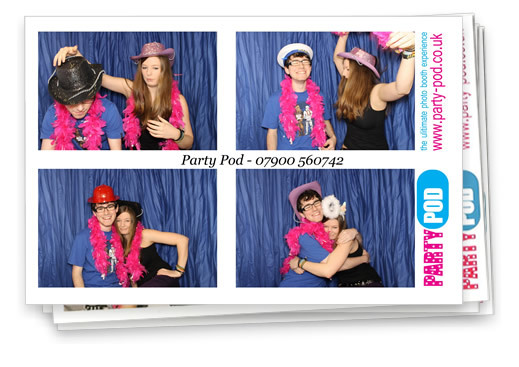 They are very attentive and are able to show your family & friends / clients how to get the most out of the Party Pod whilst injecting their own fun personalities to your event. If you have booked the photo album & extra set of prints then our Booth Butlers will encourage your guests / clients to write in your photo album. Here they can express their own personal message to you next to their picture, creating an everlasting memory of your day or event to keep forever.